All of this one sensed more or less dimly in that first unforgettable hour while our minds were lifted into his own radiant atmosphere. Later, slowly and sometimes painfully, after much effort and devotion, some of us found that our very minds were transformed. Great is the guru! It was a strange group — these people whom he had gathered around him that summer at Thousand Islands. No wonder the shopkeeper, to whom we went for direction upon our arrival, said, "Yes, there are some queer people living up on the hill, among whom is a foreign-looking gentleman." There were three friends who had come to the Swami's New York classes together — Miss S.E. Waldo. Miss Ruth Ellis, and Doctor Wight. For thirty years, they had attended every lecture on philosophy that they had heard of, but had never found anything that even remotely approached this. So Doctor Wight gravely assured us, the new-comers. Miss Waldo had during these long years of attendance at lectures acquired the gift of summarizing a whole lecture in a few words. It is to her that we oweInspired Talks. 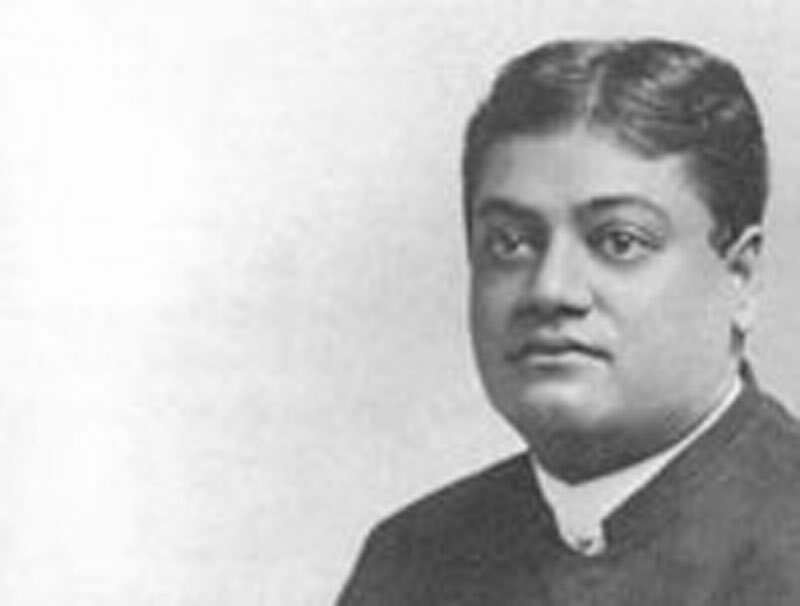 When Swami Vivekananda went to England that same year, he gave her charge of some of the classes, and on his return she made herself invaluable. It was to her that he dictated his commentary on the Patanjali's Aphorisms. She assisted too in bringing out the different books Karma-YogaRaja-YogaJnana-YogaBhakti-Yoga. Her logical, trained mind and her complete devotion made her an ideal assistant. Ruth Ellis was on the staff of one of the New York newspapers. She was gentle and retiring and seldom spoke, yet one knew that her love and devotion were unbounded. She was like a daughter to "little old Docky Wight", as we all called him. He was well over seventy but as enthusiastic and full of interest as a boy. At the end of each class there was usually a pause, and the little old "Docky" would sloop down and rub his bald head and say, with the most pronounced nasal twang, "Well, Swami, then it all amounts to this, 'I am the Absolute!' "We always waited for that, and Swamiji would smile his most fatherly smile and agree. At times like this. the Swami's thirty years in the presence of seventy seemed older by countless years — ancient but not aged, rather ageless and wise with the wisdom of all times. Sometimes be said, "I feel three hundred years old." This, with a sigh. The value of pilgrimage grew upon him, "To help India, one must love her; to love her, one must know her." To this day groups of ardent young students, following in his footsteps, make pilgrimages all over India, often travelling hundreds of miles on foot. Not only did it foster spirituality, it made for the unity of India. Pilgrims came to know and love their Motherland. They came with one faith, one hope, one purpose. This vast country has one sacred language, from which all the northern languages are derived; one mythology, one set of religious ideas, one supreme goal. What the Holy Sepulchre was to the crusaders, what Rome is to the Catholic, what Mecca is to the Moslem, this and more is the pilgrimage to the Hindu. If one could draw a map showing the pilgrim routes, it would be seen that they cover the face of India, from the Himalayas to Rameswaram, from Puri to Dwarka. What is it that these pilgrims seek? "Whither winds the bitter road?" Their faces are set to the eternal goal of humanity; they seek something we have lost, they go in quest of the Holy Grail. In a man like Vivekananda, with a genius for seeing only what was great in an individual or a race, such understanding of the Mussulman was nothing strange. To him India was not the land of the Hindu only, it included all. "My brother the Mohammedan" was a phrase he often used. For the culture, religious devotion, and virility of these Mohammedan brothers, he had an understanding, an admiration, a feeling of oneness which few Moslems could excel. One who accompanied him on one of his voyages tells how passionately thrilled Vivekananda was, when their ship touched at Gibraltar, and the Mohammedan lascars threw themselves on the ground, crying: "The Din, the Din!" For hours at a time his talk would be of the young camel driver of Arabia, who, in the sixth century after Christ attempted to raise his country from the degradation into which it had fallen. He told of the nights spent in prayer, and of the vision that came to him after one of his long fasts in the mountains of the desert. By his passion for God, and the revelation granted to him, he became one of the Illumined Ones, destined to rank for all time with the very elect of God. There have been few of these Great Ones; of each, one may say with truth, "Of his kingdom there shall be no end." We realize that, whether in Arabia, in Palestine, or in India, the children of God speak one language when they are born into the new life. He felt the loneliness of the Prophet who, to the average person, seemed a madman. For years, a mere handful believed in him and his message. Little by little we understood the patience, the compassion, the burden of the mission laid upon this Prophet of Arabia.